We are a trusted design and printing company in Singapore that helps businesses to grow with the implementation of promotional gifts and merchandise marketing. 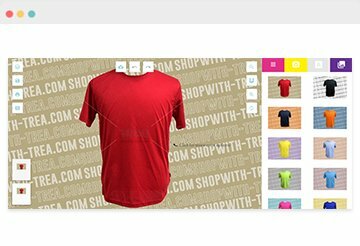 TREA is dedicated in providing customization designs and custom printing services on apparel, bags and corporate gifts in Singapore. We provide extended services like amending artwork to meet your print outcome expectation. We also advise on the best printing method and production to deliver your products. You may also have a private discussion on product tailoring for your events and marketing purposes. We work closely with you to achieve the objectives of your company’s or your client’s marketing campaign. TREA Pte Ltd is one of the few Singapore printing company that is experienced and specialises in tote bag printing and manufacturing. Our canvas tote bag and canvas pouches are self manufactured with quality assured canvas fabric. Some of our canvas tote bags have extra features such as magnet button opening, zipper, adjustable straps and inner compartments. These premium tote bags cater to smaller quantity order without having to go through the full customization process. Our unique selling point (USP) is being able to provide full customisation services according to your preferred size, material and printing. You can choose between canvas or non-woven material event bag, nylon or polyester backpack, as well as zipper pouches and stationery bags. Additional features such as magnet button opening, metal zipper etc can be requested. You may also request for adjustable strap, sling bag strap and additional compartments to enhance the quality of your custom bag. A creative and unique customised product is always a strong marketing tool to build your strategy. Apart from bags and apparels, we provide printing and supply over a range of corporate gifts. Gifts such as custom lanyard, plastic pen printing, mug printing, cap embroidery, and various custom electronic devices are ideal door or event gifts. Feel free to approach us for any other alternative corporate gifts that you are looking for. We are glad to provide non obligatory product sourcing services. We guarantee good quality and all round efficiency in meeting your customisation needs and requirements for your promotional gifts. Your marketing strategies will be comprehensive and influential with the implementation of customised corporate gifts. Send in your enquiry and get a quotation now!